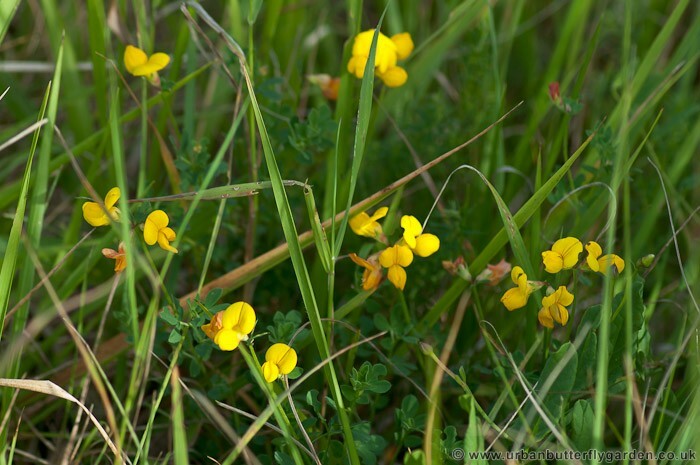 A native wildflower, Common Birds-foot Trefoil with small distinctive yellow to orange petalled flowers, is low growing and often be found amongst the grasses on woodland rides, roadside verges and in grazed meadows. 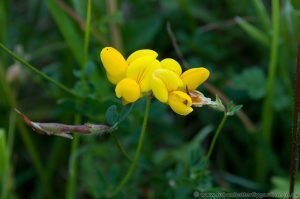 Flowering from May to September, the bright yellow flowers attract butterflies, moths and other insects, after flowering seed pods develop appear in the shape of a birds foot. 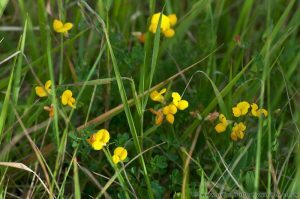 Nectar Plant to: Small Skipper, Large Skipper, Brown Argus, Common Blue.